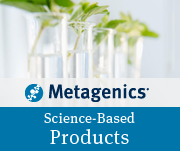 You can now order Metagenics product from our ONLINE STORE! If there is something you are looking for and don't see it, please feel free to ask. If you are unsure of what you may need or are curious if what you are currently taking is having benefit, please call to schedule an appointment to evaluate via blood, hair, & urine your current state of health. Click here for more info on the testing. Medical foods are foods that are specially formulated and intended for the dietary management of a disease that has distinctive nutritional needs that cannot be met by normal diet alone.